The BioPET is an original plastic part plant, composed of two types of materials: 70% terephthalic acid (PTA), 30% monoethylene glycol (MEG). The latter can be produced using materials made from plants (sugar cane molasses food). 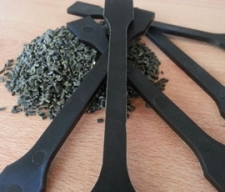 This compound is based on algae powder, with injection molding and extrusion cast grades. These grades are not intented to food contact. 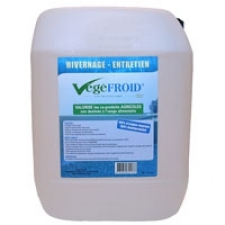 VEGEFROID is a winter product for agricultural sprayers. 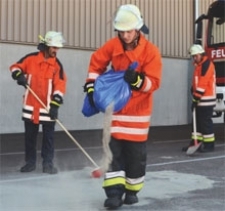 It protects against frost, prevents drying of the joints, and corrosion. A true alloy of wheat flour and a biodegradable polymer, BioCeres products are biobased and compostable. One reference carries the OK Compost label and the OK Biobased label. 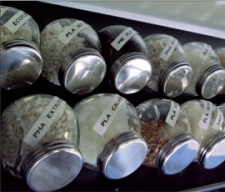 With the possibility of creating products from renewable resources, BioCeres products are ideal for using calendaring, extrusion and injection-molding.